She had nowhere to go from there. Game. Set. Match. y goodness. What a weekend we had. Aside from being the first official WEATHER weekend of Summer (despite the fact that Autumn starts on Friday), we spent the entire weekend in an NFL-fueled, bleach bottle-blonde, over-scheduled, over-makeuped mad dash of insanity. 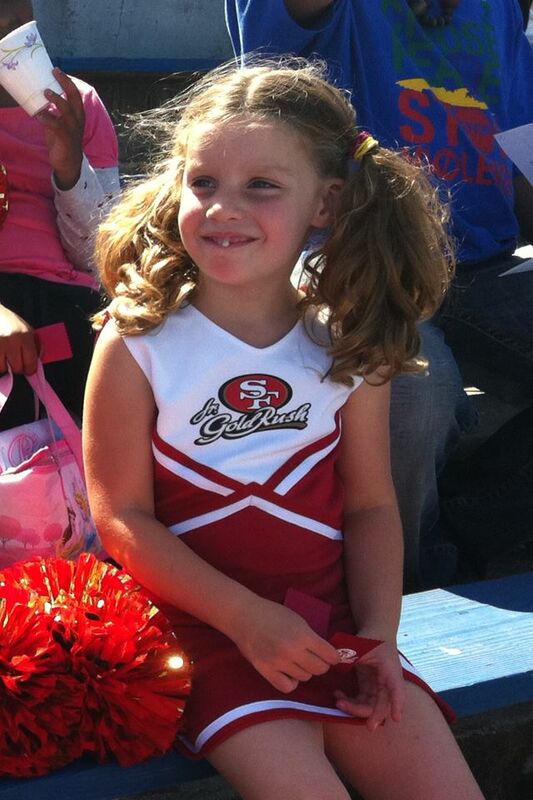 Some time ago we signed my 5-year-old daughter up for a weekend camp with the San Francisco 49ers Cheerleaders. There, along with about 300 other girls her age, she learned a cute little cheer routine, got an official cheerleader uniform, and performed the routine right there on the field just before the national anthem on game-day. Between the schlepping, the heat, the hotel, the hairspray and the crazy tail-gaters the kids (and their parents) were absolutely wiped. Yes, yes. We had all the normal concerns about NFL cheerleaders sending out all the wrong messages to little girls about what it means for a woman to be successful and attractive. We did it anyway. 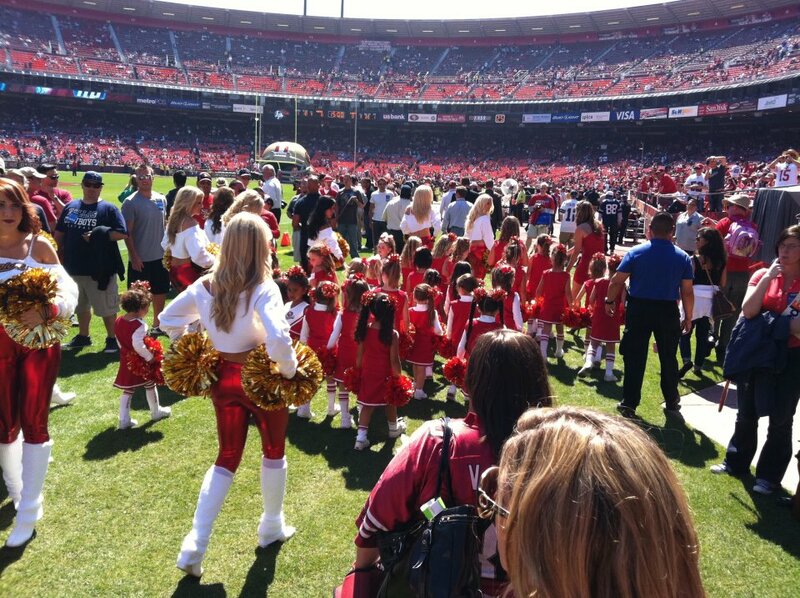 But it must be said: the 49er Cheerleaders ran an EXCELLENT operation. They were organized, they were professional, and they were GREAT with the kids. The jury’s still out as to whether we’ll do it again next year, but for now we’ll just exhale and enjoy the memory of the wonderful Chevy Chase-esque weekend. Didn't get a single picture all weekend with a decent smile. That darned tooth was just too wiggly to ignore. Let me paint a picture for you. I live in one of the most homeopathic, liberal, blue-collar, laid back, 5 years of community-college educated, surfer-bum towns in the world. At the local high school basketball games it’s jaw dropping how many minors are sporting ink. In this community it feels like getting your first tattoo is part of the standardized 6th grade graduation requirements. I’ll take the opportunity right now to say that I don’t have anything against tattoos. But when my daughter’s dance instructor makes no attempt to hide her tramp-stamp (I’m sure my mother has no idea what a “tramp-stamp” is, so here’s the link), when one of her preschool teachers had sleeves, and when the guy handing out skates at the roller-rink has gang tats on his neck, you get a little sensitive about that stuff. Tattoos are omnipresent around here. They’re part of the culture, the culture that my daughter is growing up in. So sitting there with the other parents in the bleachers, watching our daughters shake their groove-things with professional groove-thing shakers, I took a little comfort in the tattoo-lessness of it all. Let me also put it on the table the fact that I hold no illusions as to whether or not I can keep my daughter from ever getting a tattoo. But I have to say, no daddy ever holds his brand new, beautiful, perfect infant daughter in his hands and says “Boy, I can’t wait to see how she inks herself up when she’s older”. Neither my wife nor I have any, and I hope that that will be enough to keep the temptation at bay while she’s still in our home. But she’s going to go to college someday. She’s going to be in her 20’s, and she’s going to have to figure out who she is outside our little microcosm. Sometimes that means getting a tattoo. There are worse things a girl can do, so in the grand scheme this ranks low on my up-all-night-worrying radar. If she sets her heart on a tattoo, I know I can’t stop her so I won’t try. But if she’s going to do it, I hope maybe she would entertain this suggestion: Let’s go get one together. We’ll make an experience out of it. We’ll go to San Francisco (where I can pick the cleanest, classiest tattoo parlor in the western hemisphere), we’ll stay in a fancy hotel, we’ll go to a fancy dinner, and we’ll both get our first tattoos together. I don’t have to like it if my little baby decides to tattoo herself, but maybe I can turn it into an experience that we’ll love sharing – together. 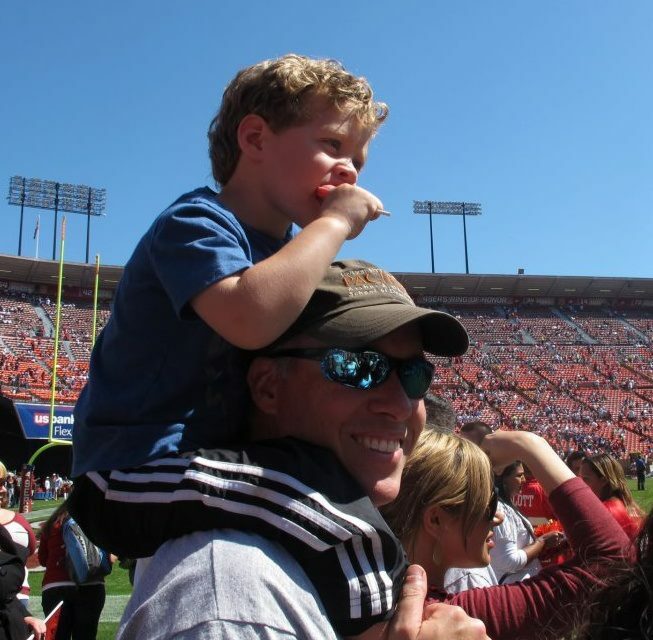 Maybe we’ll even catch a 49ers game when we do it. 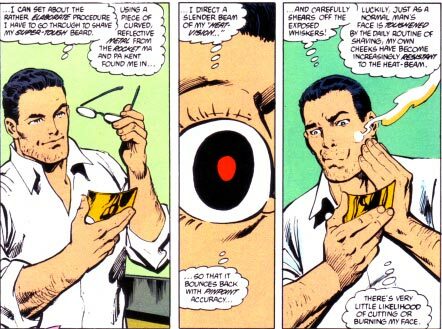 …and maybe I can finally get that thumbnail sized Superman “S” on my shoulder that my wife told me I wasn’t allowed to have. ometimes I catch myself just staring at this amazing little perfect stranger across the dinner table from me. Sure, I was there when she was born. I brought her home from the hospital. I’ve been there for every single day and every single major event of her life. But every so often she says or does something that totally blows my mind. She changes so fast (and so profoundly) that sometimes it seems that during the 14 seconds it took me to put more pasta on her dinner plate, she mystically transformed from the fragile little infant we brought home into an amazing, articulate, self-assured young lady. In those moments you do a double-take and try to reconcile the total stranger before your eyes with the little girl in the picture frame on your desk at work. Mommies don’t seem to be tormented by these ghosts as much as daddies are, but I can tell you this: fathers of daughters are haunted by innumerable specters, and they are all terrifying. We think about the first boyfriend, the first leg-shaving, the learner’s permit, the prom… My wife tells me “Woah there. Ease off the accelerator. We’ve got many, many years to go before we have to worry about that. She’s only 5”. Of course she’s right, but there’s nothing rational about being the father of a daughter, and in those moments when it’s clear that your daughter is growing up at light speed, it’s easy to let your imagination run away with you. Nowhere is this more apparent than in the following story. All events are completely factual. The names have been changed to protect the innocent. It was a Wednesday morning. A father (let’s call him… “Anakin”) was eagerly anticipating taking his daughter (let’s call her “Leia”) to kindergarten. After three weeks Leia had the routine down pat, and now approached the entire kindergarten experience as an old pro. Up until this point every morning Leia was walked to school by her mother (let’s call her “Padme”), younger brother (let’s call him “Luke”) and Anakin when his work schedule permitted it. But this morning Luke wanted to stay in bed, and Padme was happy to let Anakin handle the kindergarten drop-off duties on his own. Anakin secretly looked forward to it all week and when the morning finally came he attacked it with zeal. He got breakfast ready, gently coaxed Leia out of bed and got her dressed. Padme mercifully got up early to fix Leia’s hair because let’s be honest, Anakin’s skillset does not include hairstyling. Anakin and Leia got a kiss on the cheek from Padme at the front door as they quietly snuck out without waking Luke. Backpack donned, cute clothes proudly on display, hair done-up to the nines, Leia took Anakin’s hand with a sweet smile and the two proceeded to walk to kindergarten. It was a wonderful father-daughter moment – just the two of them. As cheesy as it sounds Anakin actually wished that the walk to school was a little longer, because he didn’t want it to end. After a short time they made it to school and the playground drop-off point. Leia immediately saw a classmate and the two ran off hand-in-hand to play before the bell rang, leaving Anakin with all the other parents, alone with no 5-year-old’s hand to hold. Anakin stood there in the morning fog, watching Leia play with her friends. Of course Anakin was thrilled with how well Leia conquering kindergarten. If this was Leia’s first soccer game I might… er, um he, HE might have done a fist-pump. But the best he could manage that morning was a lump in the throat that seemed to be growing by the minute. The bell rang and Leia and her classmates lined up in their spots as if they’d been doing it for years. Once they were settled down their teacher walked them from the playground to the classroom to start the day. Anakin followed the troupe with the rest of the drop-off parents. At the classroom door one mother was persistently trying to convince her crying daughter to go into the classroom, as she had to do every day since the first day of school three weeks ago. Through the window Anakin watched as Leia expertly went about the kindergarten morning routine – putting her backpack in the right spot, hanging her jacket on the right hook, taking out her daily folder and putting it in the appropriate place; no help from daddy required. This was her territory. She knew exactly what to do and took great pride in doing it well. As Anakin watched Leia move to the carpet for circle reading time (just as she was supposed to) he realized that he was rapidly losing his composure. The lump in his throat was threatening to take over entirely, and he realized he was going to have to leave quickly, lest he should do something that might call his masculinity into question. There were two people that cried in front of the kindergarten class that day, a 5-year-old girl and a 37-year-old man. Anakin’s lonely walk home was a blubbering mess of un-manliness that he would be very happy to forget thankyouverymuch. Of course that story wasn’t about ME. Oh no. But I can tell you this. I’m going to have to get my act together and man-up. I’m going to have to send that girl to college someday. his morning my 3-year-old son walked up to me while I was doing my post-shower morning ritual at the bathroom sink. So, very lightly, I gave my razor one pass first down his right cheek, than his left. 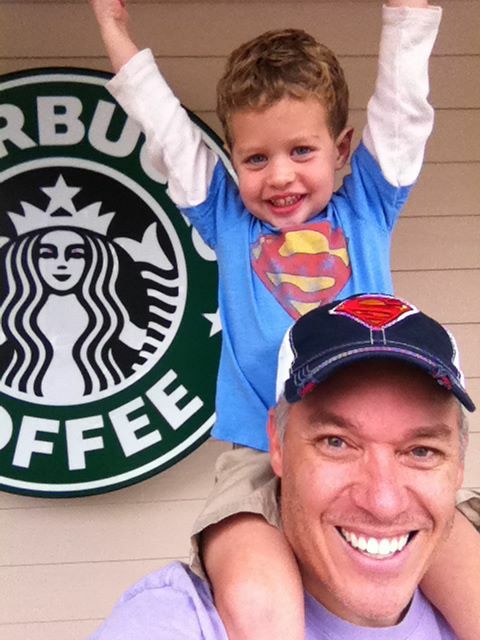 Kids are so easy to love.